The Olympian, writer, filmmaker and soon to be marathoner chats about her 26.2 mile debut and the importance of role models. 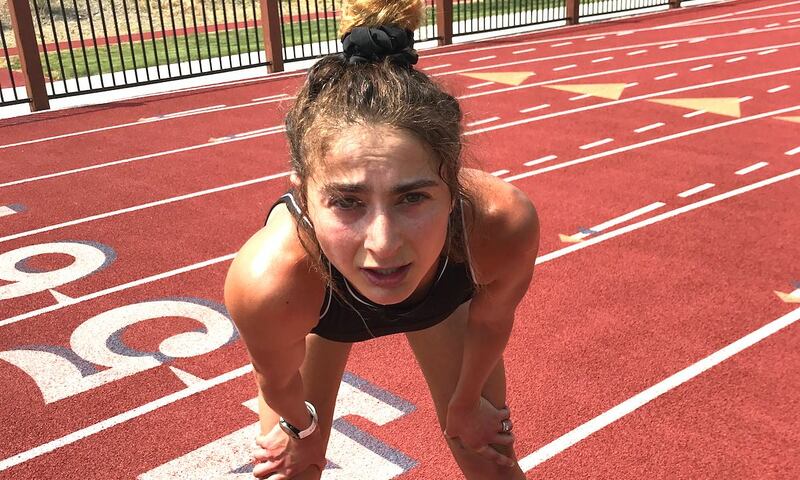 Alexi Pappas debuts at the Chicago Marathon next month amongst a fascinating lineup that includes Bowerman Track Club’s Gwen Jorgensen and Laura Thweatt. 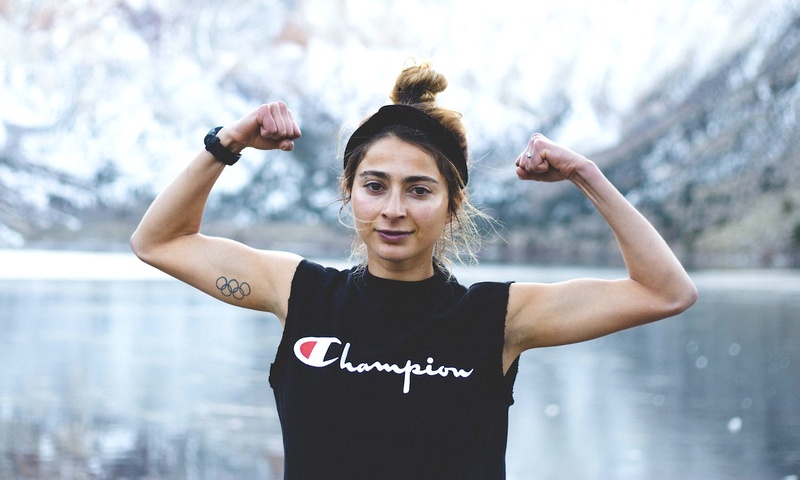 The Greek 10,000m national record holder has been preparing for the 26.2 miles at Mammoth Lakes whilst writing her first book of essays and getting married. Pappas is no stranger to balancing her passions as a professional runner and writer. In 2016, she competed at the Rio Olympics whilst co-writing, directing and starring in the feature film, Track Town. 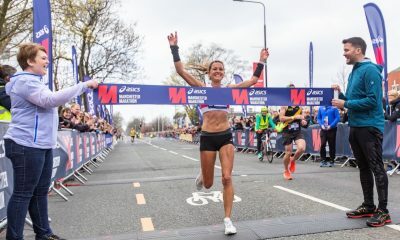 The 28 year-old has been under the mentorship of American marathon record holder Deena Kastor ahead of her first race over the historic distance and is now raring to go. Fast Running talked to the Greek-American long-distance runner about her preparation for the Chicago Marathon, plus sleep, steak, setbacks and the importance of role models. Fast Running: Congratulations on getting married! How have you found balancing wedding planning, writing and training for Chicago? 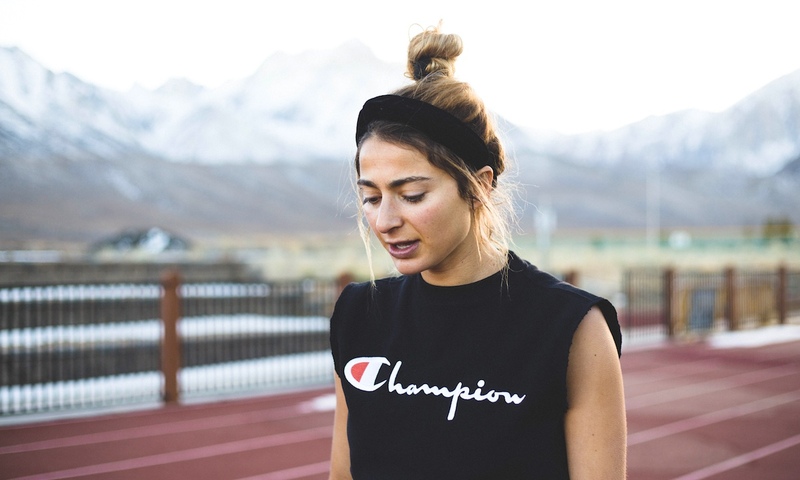 Alexi Pappas: As with everything I do, I approach it with the attitude that it’s all a choice – so my energy is one of joy and gratitude, even if I have a few goals on my plate. My day to day is always very scheduled, with my running commitments taking priority and coming first. The creative work and wedding planning fitting in when I am not training, napping, or fuelling! 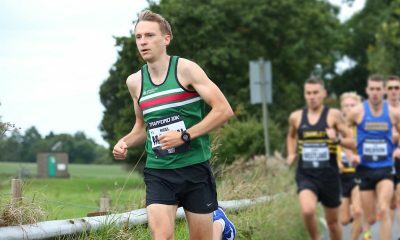 FR: Do you think it’s important for professional runners to have a career outside of sport? AP: I think it’s all very personal. For me, it’s been a positive addition to my running to have another outlet and career. It’s been healthy to have something to ‘end practice’ and focus on besides running since we can’t run 24 hours a day. One day, I hope to put more of my time into my other (creative) career, but for now, running is number one. 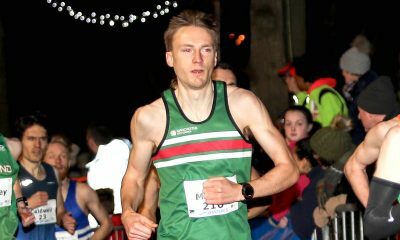 FR: You’ve previously competed as a 10,000m athlete, how have you found the transition into marathon training? AP: Marathon training is much more about the unglamorous strength work, rather than the speed work. The day I am most nervous for is the long run, which is a new feeling! FR: What’s it like being part of the Mammoth Track Club and being coached by Andrew and Deena Kastor? Do you think these types of elite training groups are contributing to the success of American distance running? AP: Training under Andrew Kastor and alongside Deena Kastor is a gift. They’ve experienced and seen so much in the marathon world, and they’re here for us (the team). Andrew is beyond thoughtful about our training and learning from all that he has seen in Deena’s and other runners’ careers. Yes, these groups are positive feedback loops, everyone lifts everyone else up. Plus, a 20 mile long run can be very lonely, but better with a team, and the best with Deena! FR: What has been your favourite workout in your marathon build up? AP: I honestly love when we jump on the track one time a week for speed work. I love it because it’s the most ‘different’ day of the week. It shakes things up and keeps my mind alert! Most of our runs are long and arduous but the speed work reminds me of that competitive spirit… the feeling of running as fast as you can always makes me really happy. FR: What is your least favourite workout? AP: The most challenging workout for me (I still like it) is our super long tempo runs, they are very mentally and physically challenging. But I know I get the most out of them so I love them in the hard way. FR: How do you nail your recovery? AP: I have never slept so much in my life as I have during this build-up! I go to sleep whenever I think I can fall asleep. I also take recovery smoothie or milkshake with carbs (UCAN is my recovery carb of choice to add to the post workout drink). For meals, I literally eat whatever I’m craving. Sometimes it’s pancakes, other times it’s a steak. I know my body will tell me what I need and will do wonders for me if I can listen to it. FR: You are a role model to many young female athletes. You regularly give advice and motivational poems to your dedicated following of ‘Bravies’. Do you think it’s important to have strong female role models in sport? AP: It’s a gift to have role models to look up to and it’s always been my goal as an athlete to find and learn from my role models. Role models can help us feel more confident in ourselves and give us permission to believe in ourselves. My role models have literally shown me, simply by being themselves and letting me be around them, how I can be what I want to be. It’s a privilege and responsibility. I hope I can be a role model for runners everywhere, Greece included. In Greece, there is still so much impact I can have as a female distance runner, and I’m honoured to add to the tradition where long distance running (and the marathon) was born! FR: Who is your role model and how have they influenced you as a runner? AP: Deena Kastor is my role model. She shows me how to work hard and also how to stop and smell the flowers, literally. Deena showed me how to have purpose with each day. A hard day is a hard day. And easy day is an easy day. It seems simple but a lot of us overcomplicate running until we see that the very best keep it very simple. FR: Could you tell us about your approach to being injured, like you were in 2017? AP: I had my first side-lining injury of my life in 2017, I think due to stress. But for me, it was the first extended break (longer than a traditional break) that I’ve had since high school. It was very challenging in the moment, and of course I was frustrated when I was injured, but now I have rewritten that perspective in my mind. I know it was for the best. I took that time to rejuvenate, learn how I can be more durable while living at 8,000 ft, and also pursue creative projects I couldn’t have otherwise done. I think… it’s all good; we just have to find the good in it all. FR: How would you describe your racing approach? AP: It depends race to race. In Chicago, my coach will advise me on how to approach the first 20 miles or so of the race and I’ll listen to whatever he says! FR: As the Greek 10,000m record holder (31.36), do you have the marathon record in mind (2.33.40)? FR: The marathon is renowned for being mentally tough. Do you have a strategy to get through bad patches? AP: I tell myself to stay. Also, I will think of Deena Kastor and all that she has taught me. The good kind of pain (not injury pain) is welcomed, in her mind and now, in mine. FR: What is your race bucket list? AP: I’d love to race New York City Marathon someday. FR: How did you know you were ready for the marathon? AP: I had coaches who believed I could be great in the marathon, and I’ve always listened to my coaches. FR: Lastly, is there a race that you will reflect back on to give you confidence for the marathon? AP: I think I’ll reflect on specific workouts to give me confidence. I’ve grown so much during this build-up and pushed through some truly painful workouts. I started this training block pretty out of shape and I’ve seen how far I’ve come, so I’ll use my work during this build-up as proof to myself I can push through when the pain sets in next month in Chicago.